We loved bringing this bride's vision to life. 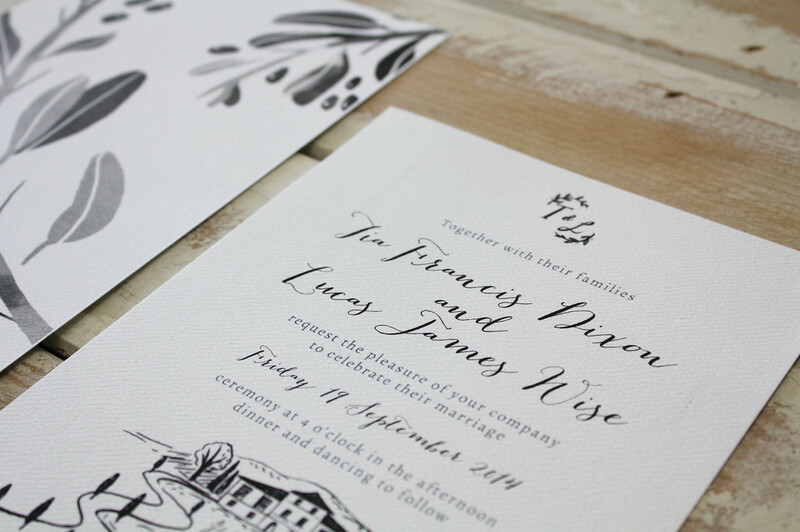 Tia had the most gorgeous idea for a black-and-white illustrated invitation to set the scene for her Tuscany wedding. We were so pleased with how the final set turned out!